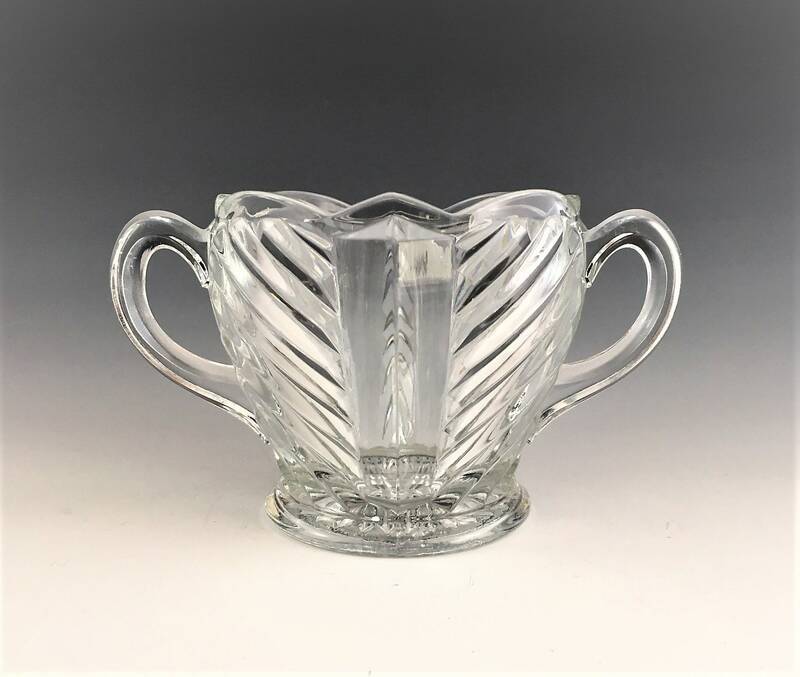 Featured is a beautiful breakfast set from Indiana Glass. 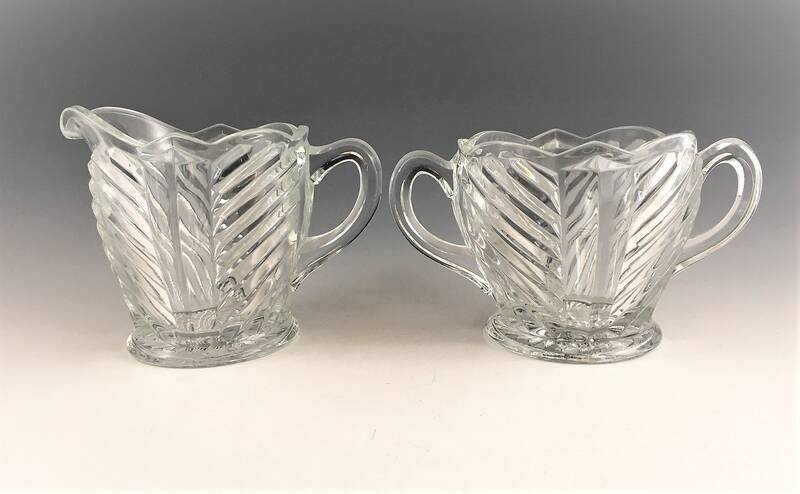 This creamer and open sugar bowl are impressive with their art deco lines and their geometric swirl design. 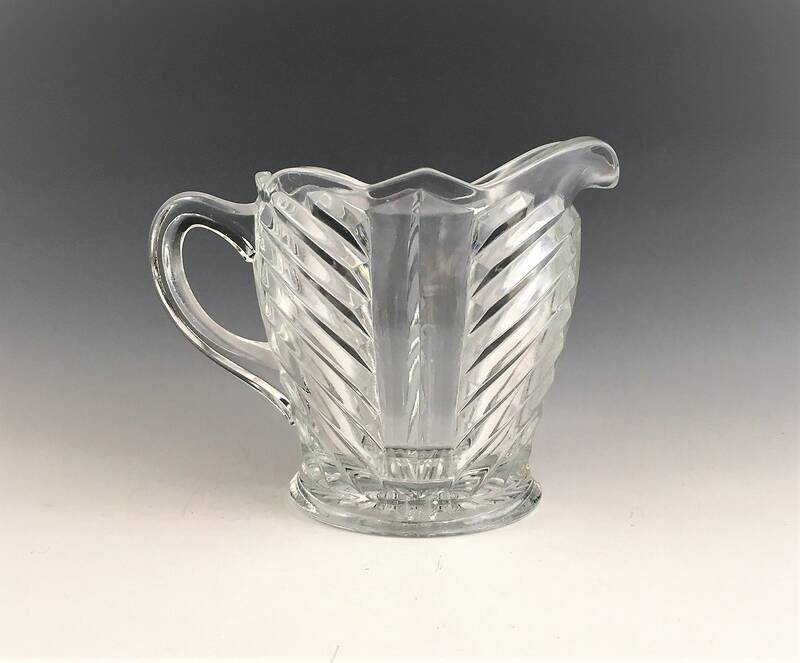 Indiana Glass produced this #303 pattern from 1936-40. Both pieces measure about 3 1/4 inches tall and they are in excellent condition, free form any chips or cracks. 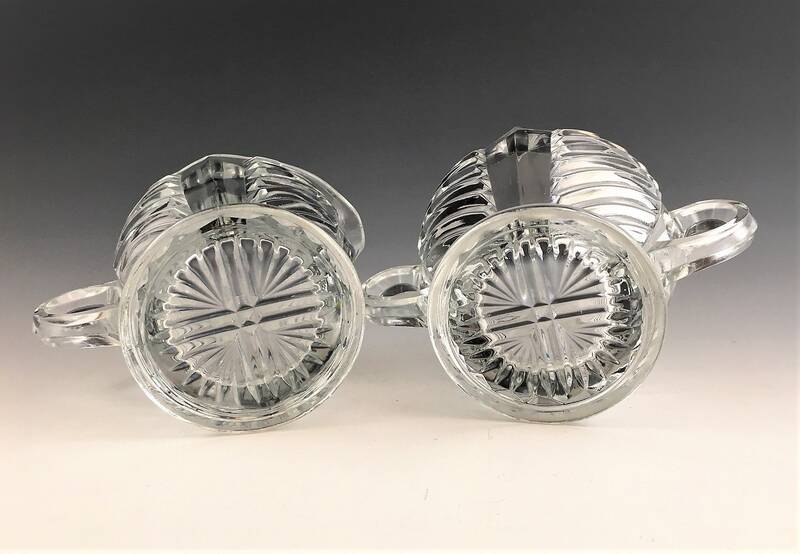 Both pieces offered here for one low price.